This is quick guide howto enable Apache userdirs with SELinux on Fedora 29/28/27, CentOS 7.5/6.10 and Red Hat (RHEL) 7.5/6.10. This guide assumes that you have Apache (httpd) server installed on your system. This guide uses separeted userdir.conf without touching httpd.conf so later default httpd.conf can be overrided or whole configuration moved simply. 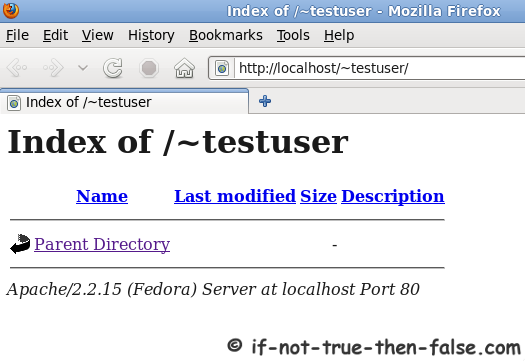 This guide uses user called testuser and should be replaced by real user name(s). 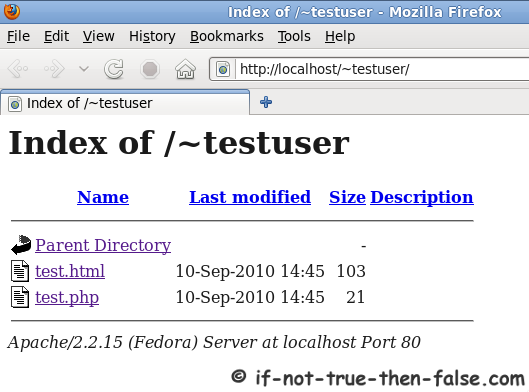 Make public_html directory/directories on user/users home dirs.